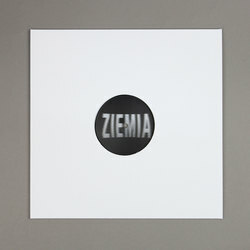 Earth Trax / Newborn Jr / Private Press - Ziemia 001. Vinyl 12. Bleep. Conceived in their studio at the heart of Warsaw, solo producer Earth Trax (Bartosz Kruczyński), along with musical duo Private Press (Adam Brocki and Jan Wójcicki), mark the beginning of their Ziemia imprint with their debut 12” of open-armed, ambient techno. Still, you’ll find plenty of communal brooding here. Situating itself within traditions of Eastern European club music, Ziemia trades in driving bass, skeletal synths, and the sensation of navigating a dark, empty universe. At least they have each other.